Analysis of monsoon data suggests South India is headed for an acute water crisis this summer. On January 16, the India Meteorological Department (IMD) released a ‘Statement on Climate in India during 2018’. Among other high impact weather events in 2018, the met department pointed out in it that rainfall during the northeast monsoon, between October and December, over the country had been “substantially below normal” – only 56% of the long-term average. And this, it said, was the sixth lowest since 1901. The statement went on to note that seasonal rainfall over the southern peninsula, which includes five meteorological subdivisions (coastal Andhra, Rayalaseema, Tamil Nadu and Puducherry, south interior Karnataka and Kerala), had also received below-average rainfall in the same months. In fact, except for Kerala, all the other four subdivisions had received deficient rainfall. The long-term average of the northeast monsoon over the southern peninsula has been 332.1 mm for the base range 1951-2000. Also read: A ‘Normal’ Monsoon With Droughts and Floods? This is cause for worry because, unlike the rest of the country, which receives rain in the southwest monsoon season between June and September, the northeast monsoon is crucial for farming and water security in the south. This region now seems headed for an acute water crisis. One analysis of northeast monsoon data, by a meteorology blog, showed the highest rainfall departure to be in Telangana, of negative 65%, followed by Andhra Pradesh at negative 57%, Karnataka at negative 48% and Tamil Nadu at minus 24%. At the Chennai and Dharmapuri stations in Tamil Nadu, rainfall was 55% and 59% lower than the average. In Andhra Pradesh, Visakhapatnam, Guntur and Prakasam districts received 54%, 63% and 68% less rainfall. Bengaluru’s urban and rural areas, similarly, recorded 54% and 36% less rainfall. The least rainfall received relative to the long-term average appeared to be in Nalgonda, Nizamabad and Yadadri Bhuvanagiri districts in Telangana, at negative 91% in each. In response, the state governments have introduced water cuts. Three reservoirs supplying water to the city of Chennai have reportedly gone dry and the level in another is falling fast. The Chennai Metropolitan Water Supply and Sewerage Board has already cut the city’s drinking water supply by almost half. Meanwhile, Andhra Pradesh has declared 347 mandals in nine districts to be drought-hit and drought relief of Rs 1,401 crore from the Centre. And it isn’t the only state staring at a drought year. The southwest monsoon, the country’s principal monsoon season, also ended on a ‘below normal’ note, triggering droughts in several states. At least five other states apart from Andhra, Maharashtra, Karnataka, Jharkhand, Rajasthan and Gujarat, have submitted memoranda to the Centre for drought relief, and Bihar and Telangana are headed there. “Deficit soil moisture is an important parameter of agricultural drought. It can be due to deficient rainfall and also high temperature that depletes soil moisture,” Vimal Mishra, an agricultural engineer at IIT Gandhinagar, told The Wire. The IMD, together with the Water and Climate Lab at Mishra’s institute, provides land surface hydrology forecast for periods of seven days and four weeks. “It is likely that several states are heading into severe drought, and the water crisis is expected to worsen in the coming months as the summer sets in. This will put an additional burden on groundwater, which will be extracted mindlessly,” he warned. South Asia has two monsoons: the southwest or summer monsoon from June to September, and the northeast or winter monsoon between October and December. The southwest monsoon brings most of the annual rainfall over India. According to a 2012 study, India receives about 11% of its annual rainfall – with many districts in the south receiving 30-60% – during the northeast monsoon season. … for the extreme southeastern state of Tamil Nadu and the Union Territory of Puducherry…, the normal southwest monsoon seasonal rainfall realised is only about 35% (317.2 mm) of its annual rainfall (914.4 mm) as this subdivision comes under the rain-shadow region during the southwest monsoon. 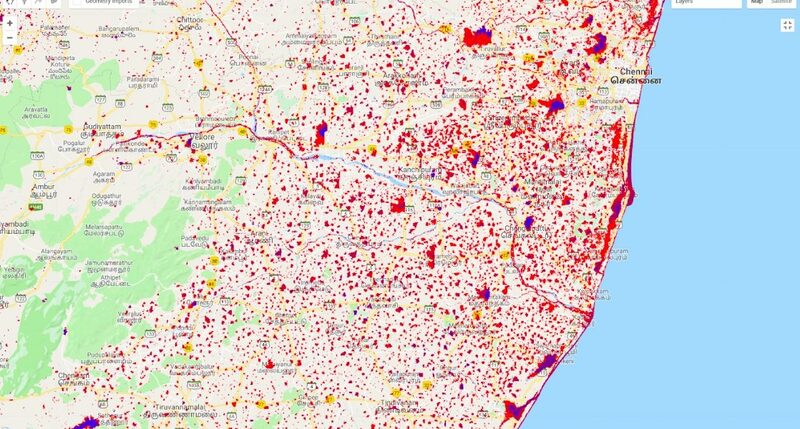 On September 29 last year, the IMD issued an operational forecast for the 2018 northeast monsoon, saying that the rainfall over the south “is most likely to be normal (89%-110% of long period average), with a tendency to be [on] the positive side of the normal.” It added that the rainfall over Tamil Nadu is most likely to be above normal, i.e. over 112% of the long-term average. But it hasn’t come to be. Part of the problem is that the evolution of the northeast monsoon is harder to predict than that of the southwest monsoon. This is because the former has a variability of 25% against the latter’s 10%, according to M. Rajeevan, secretary of the Ministry of Earth Sciences. Sridhar Balasubramanian, associate professor of mechanical engineering and an adjunct faculty member at IDP Climate Studies, IIT Bombay, said that the northeast monsoon is highly variable because it is governed by the climatic dynamics of the Bay of Bengal, which is itself is hard to predict. And “apart from the global weather phenomenon of the El Niño Southern Oscillation, the northeast monsoon is also affected by factors like the Indian Ocean dipole and the Madden-Julian Oscillation,” he said. Oscillations are climate patterns that involve a back-and-forth variation of some climate variable. For example, the variation of sea surface temperature “along a stretch of the equatorial Central and East Pacific Ocean and the western coast of tropical South America” is encapsulated by the El Niño Southern Oscillation. The Indian Ocean dipole “is an irregular oscillation of sea-surface temperatures in which the western Indian Ocean becomes alternately warmer and then colder than the eastern part of the ocean” (source). “During the 2018 northeast monsoon season, these factors weren’t favourable for a normal seasonal rainfall,” Balasubramanian added. Note: All satellite images contain modified Copernicus Sentinel Data. 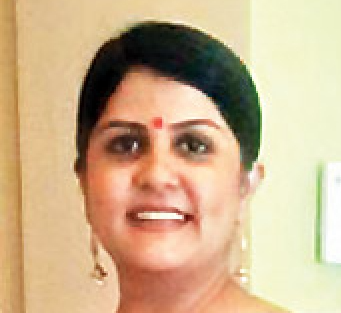 Nidhi Jamwal is an independent journalist based in Mumbai.